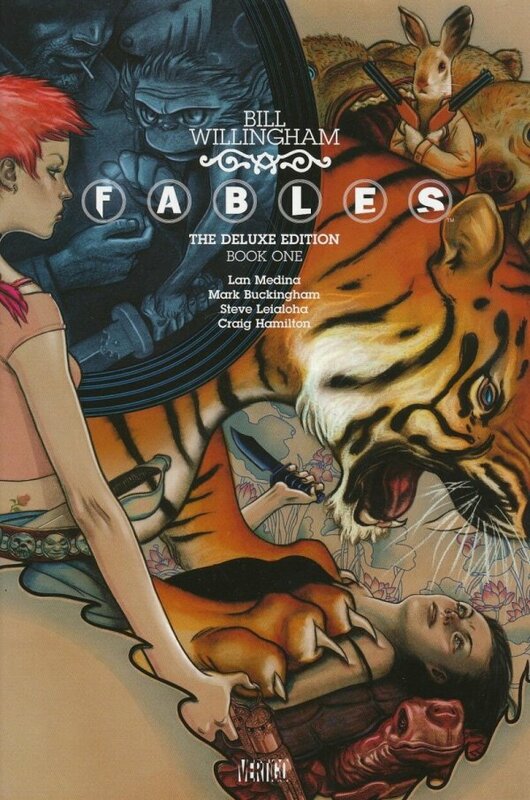 For the first time ever, Bill Willingham's acclaimed, Eisner Award-winning series FABLES is presented in a deluxe hardcover edition collecting issues #1-10. When a savage creature known only as the Adversary conquered the fabled lands of legends and fairy tales, all of the infamous inhabitants of folklore were forced into exile. Disguised among the normal citizens of modern-day New York, these magical characters have created their own peaceful and secret society within an exclusive luxury apartment building called Fabletown. 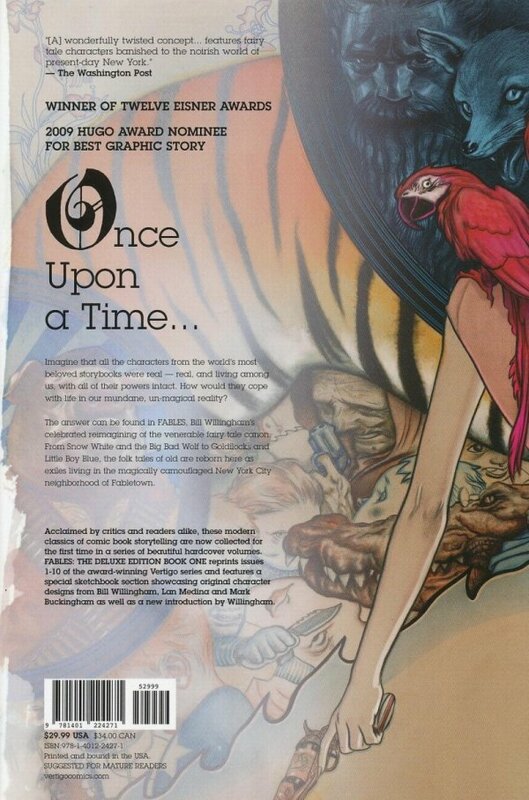 When Snow White's party-girl sister, Rose Red, is apparently murdered, it's up to Fabletown's sheriff, the reformed and pardoned Big Bad Wolf, to find the killer. Meanwhile, trouble of a different sort brews at the Fables' upstate farm where non-human inhabitants are preaching revolution - and threatening Fabletown's carefully nurtured secrecy.